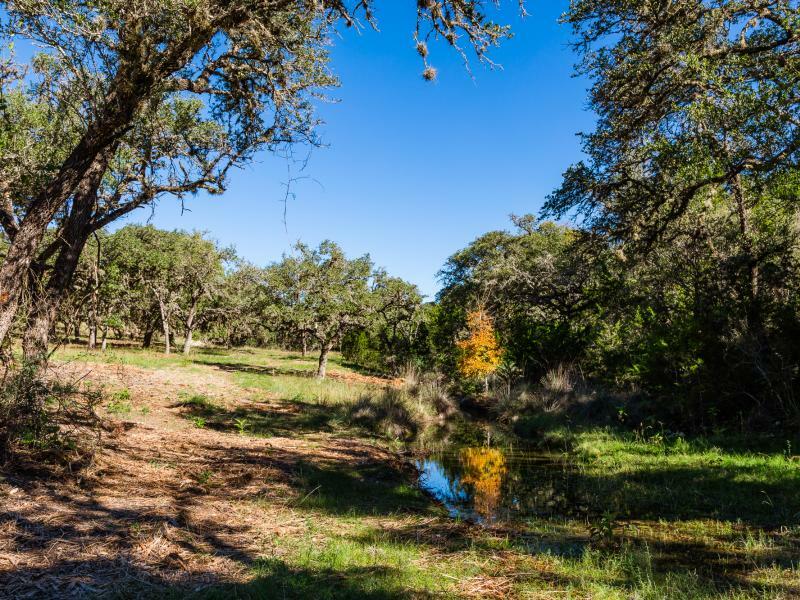 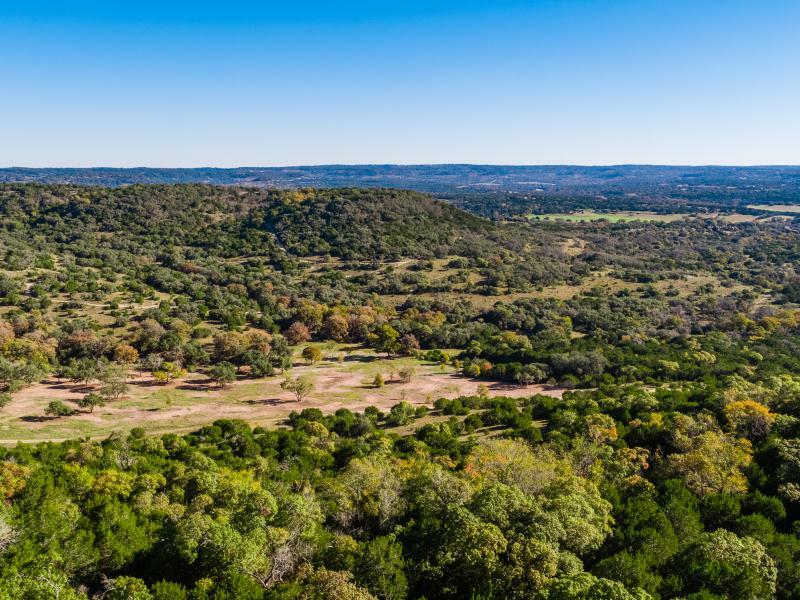 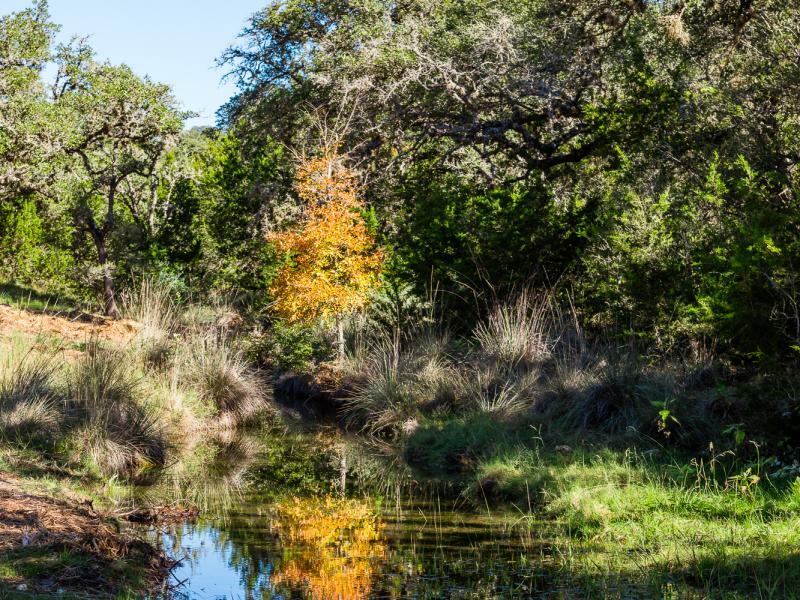 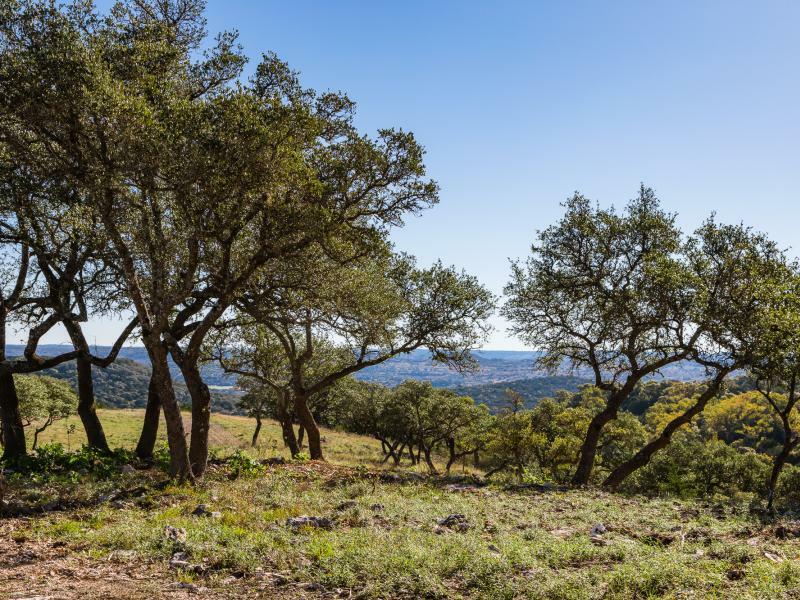 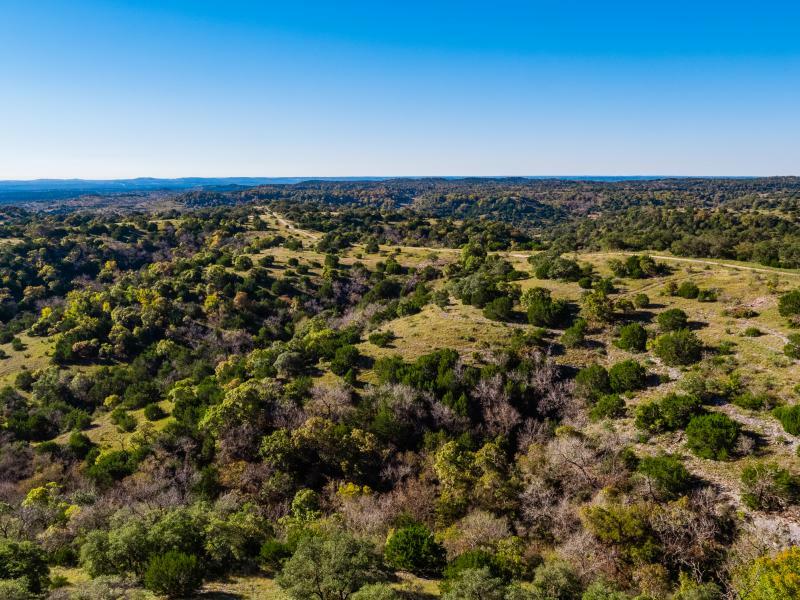 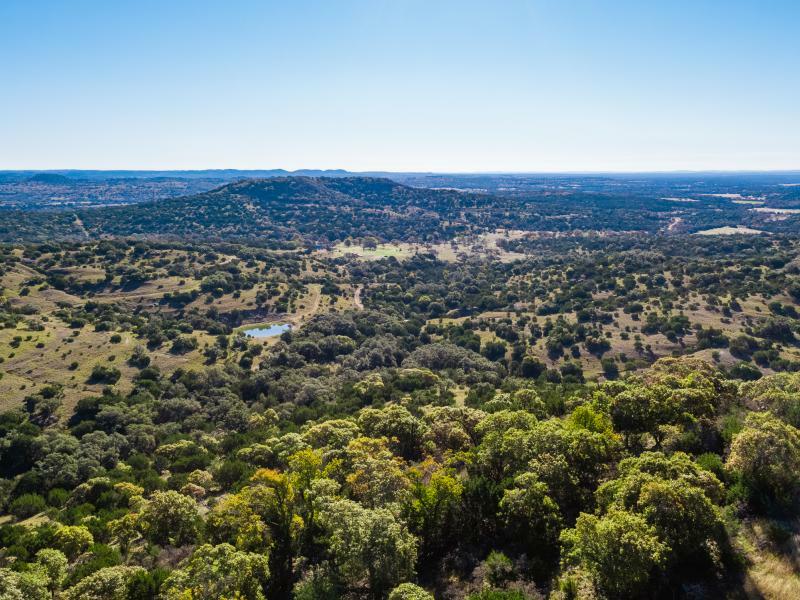 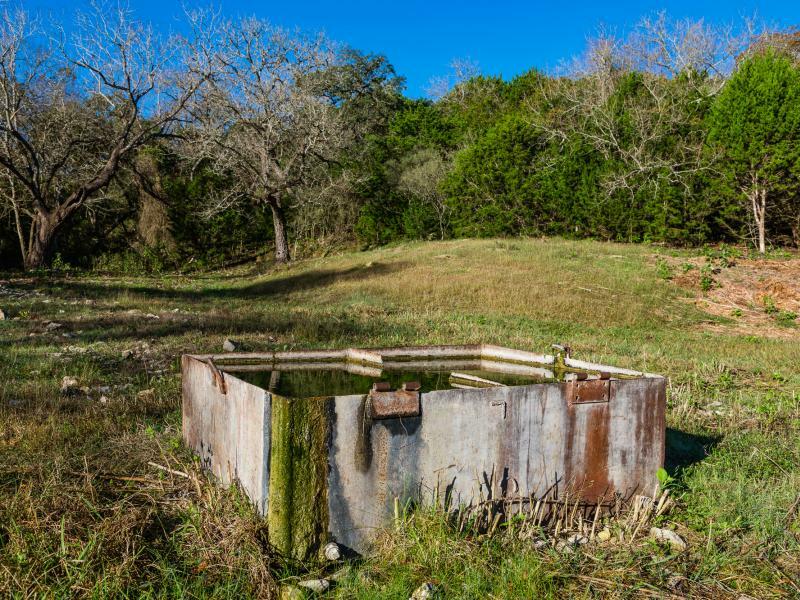 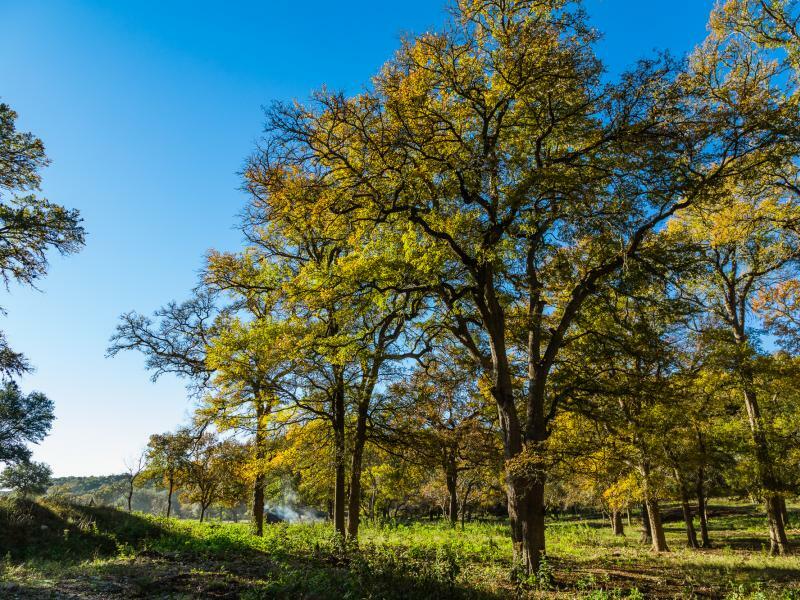 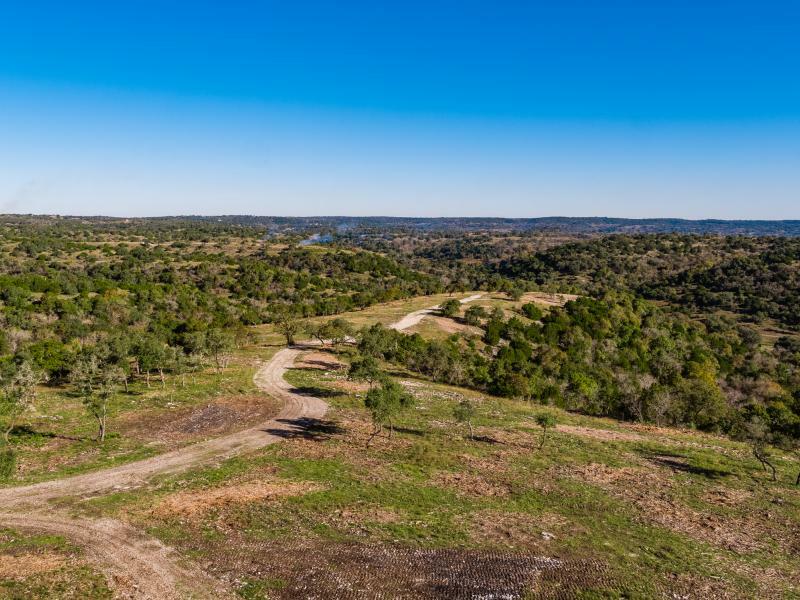 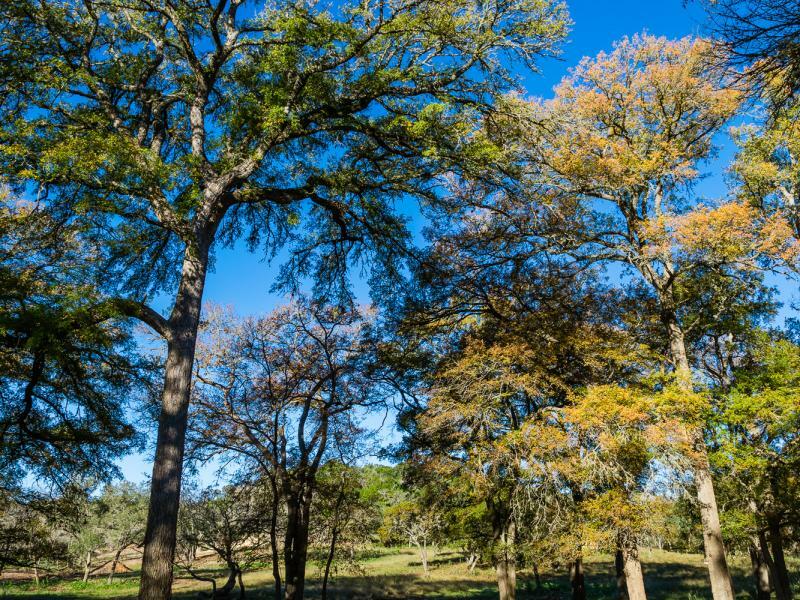 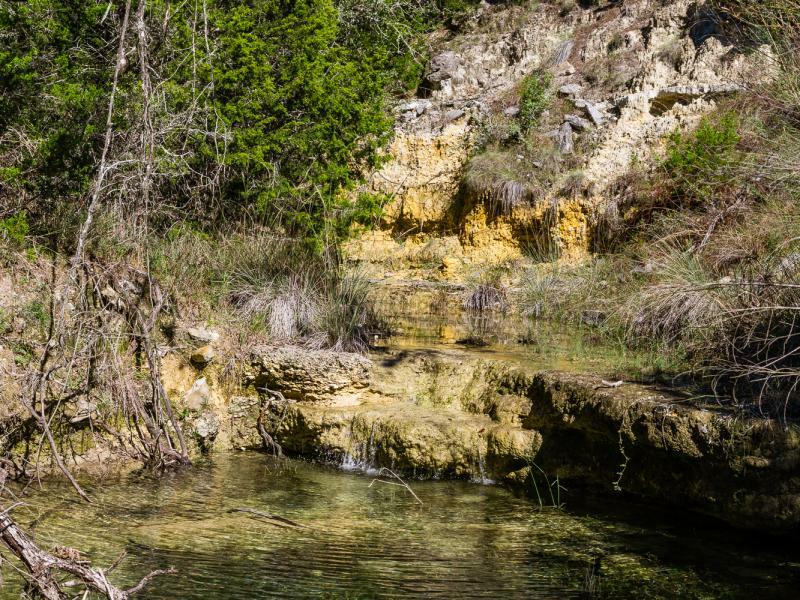 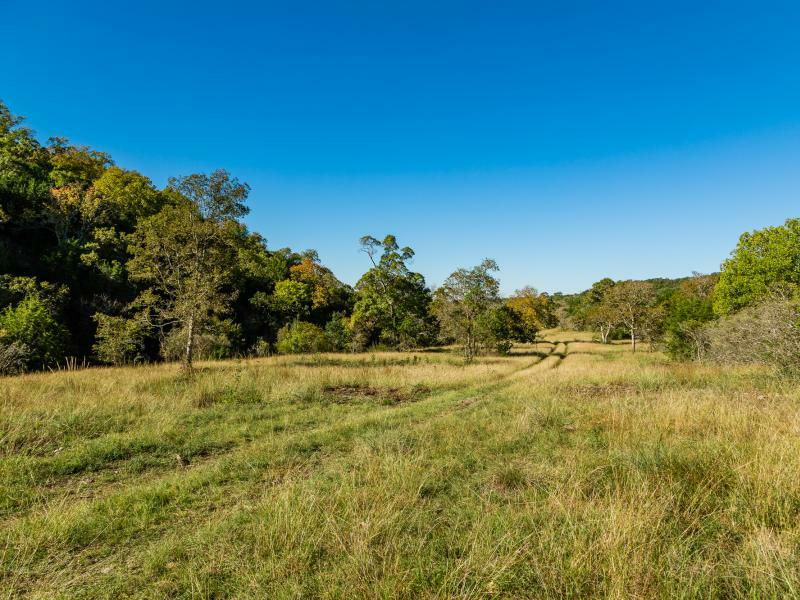 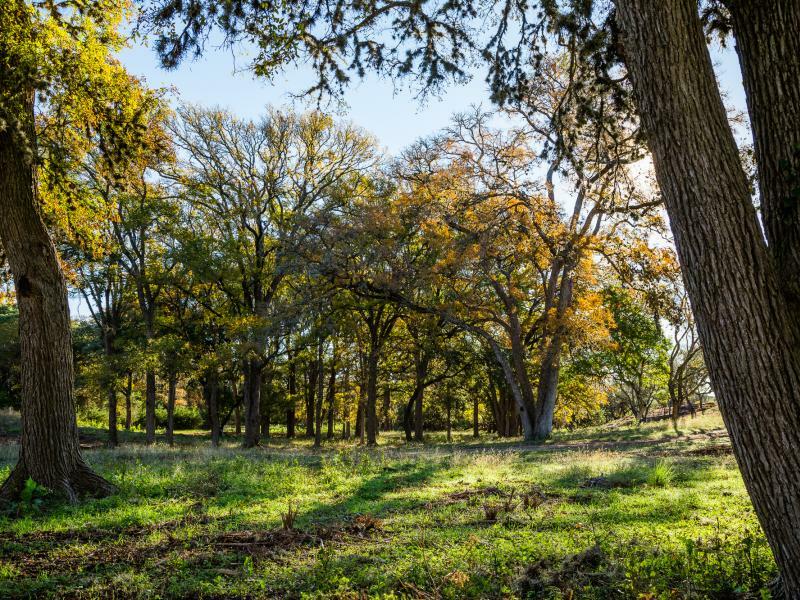 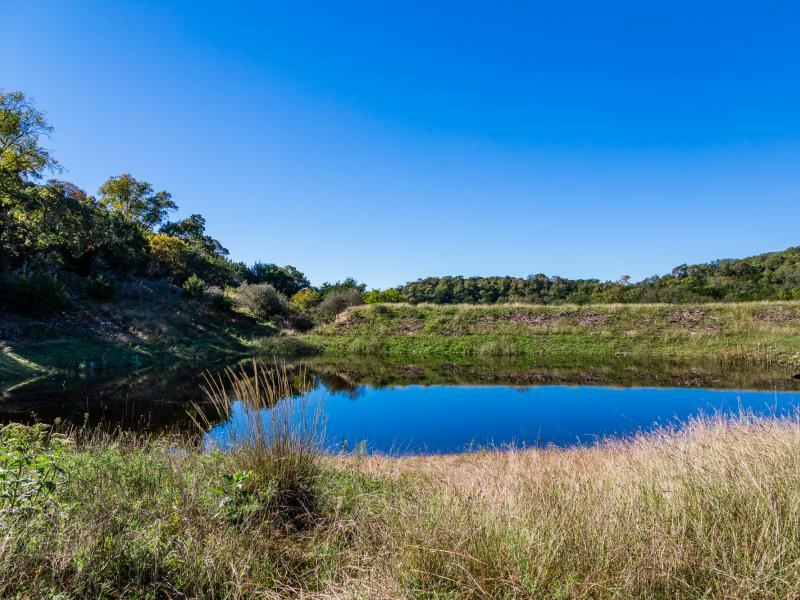 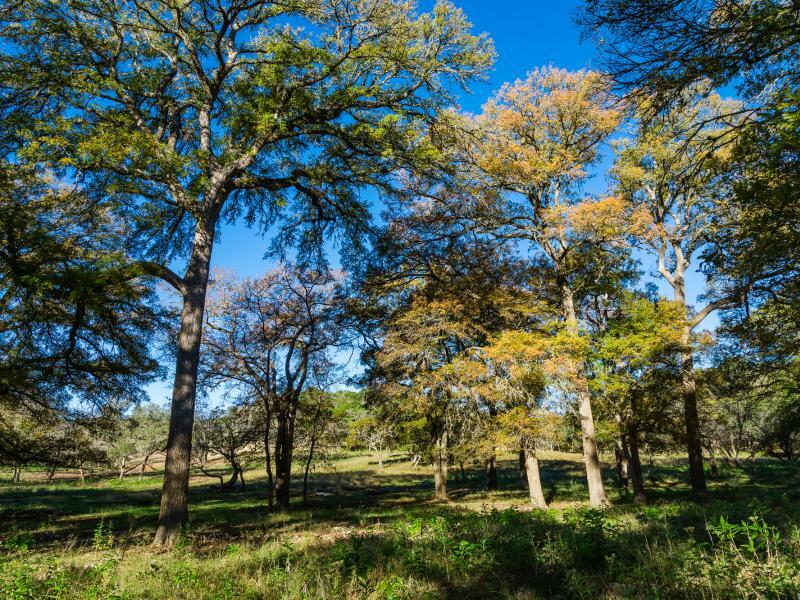 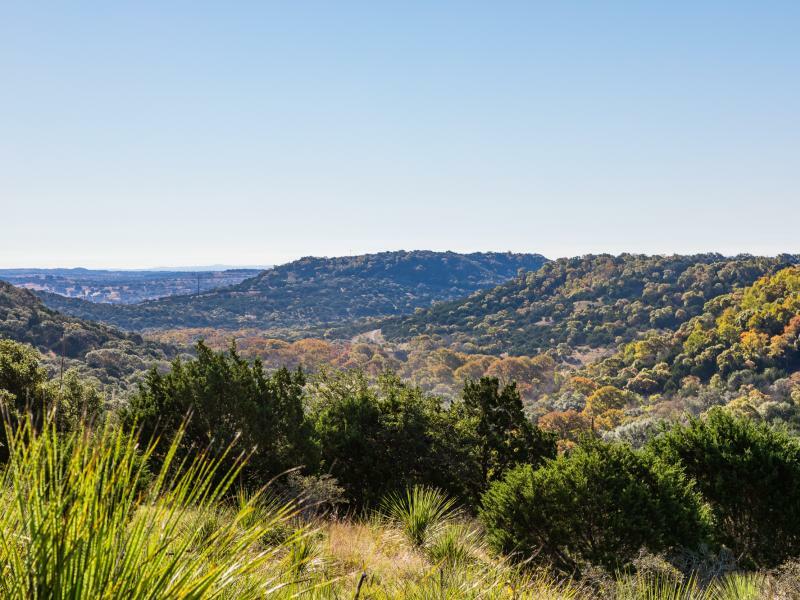 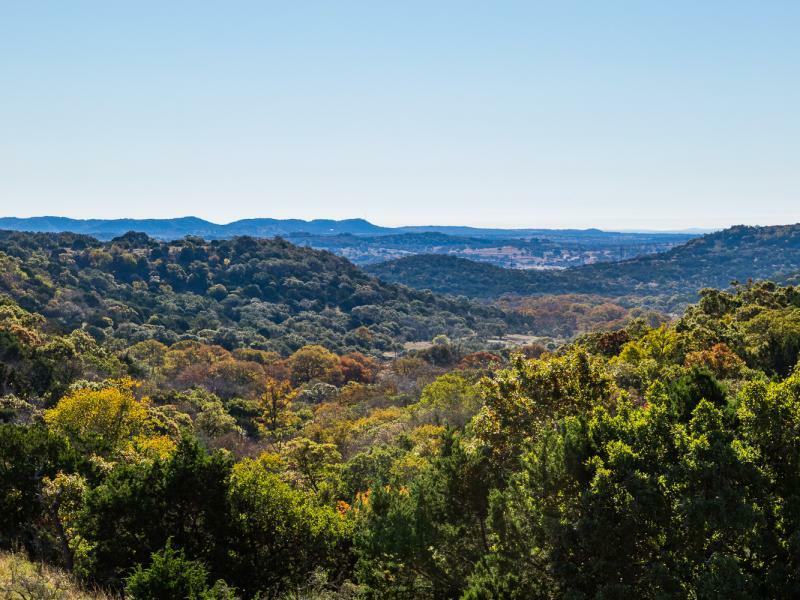 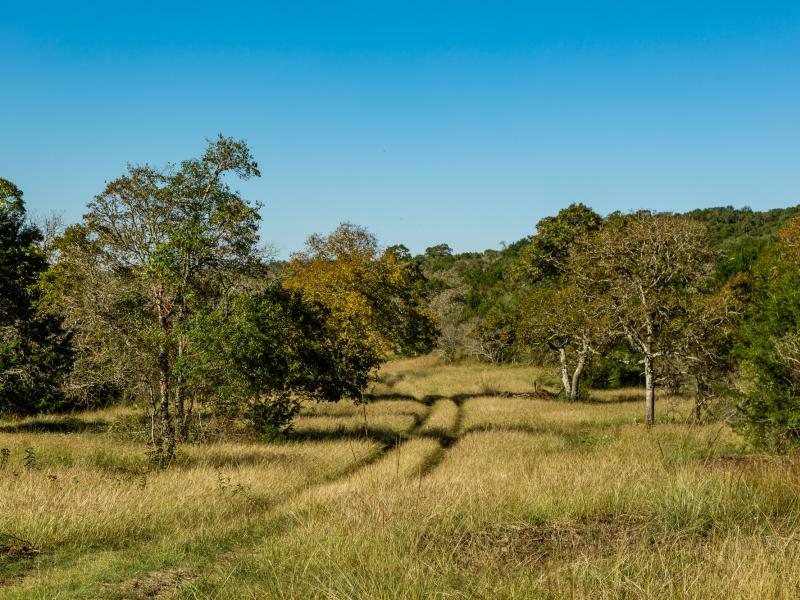 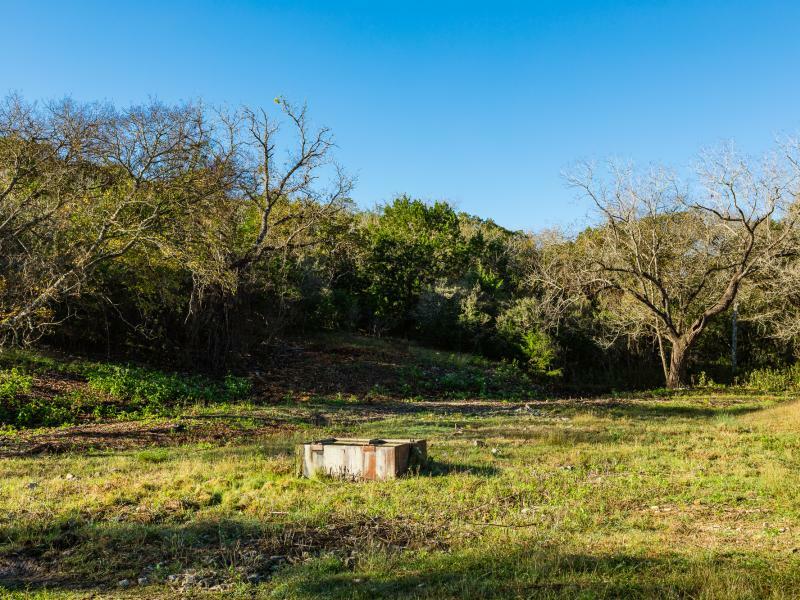 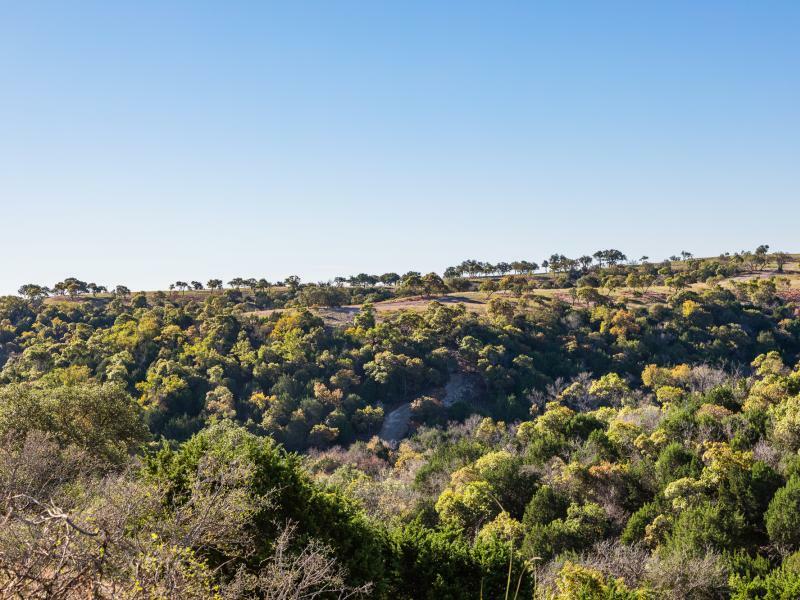 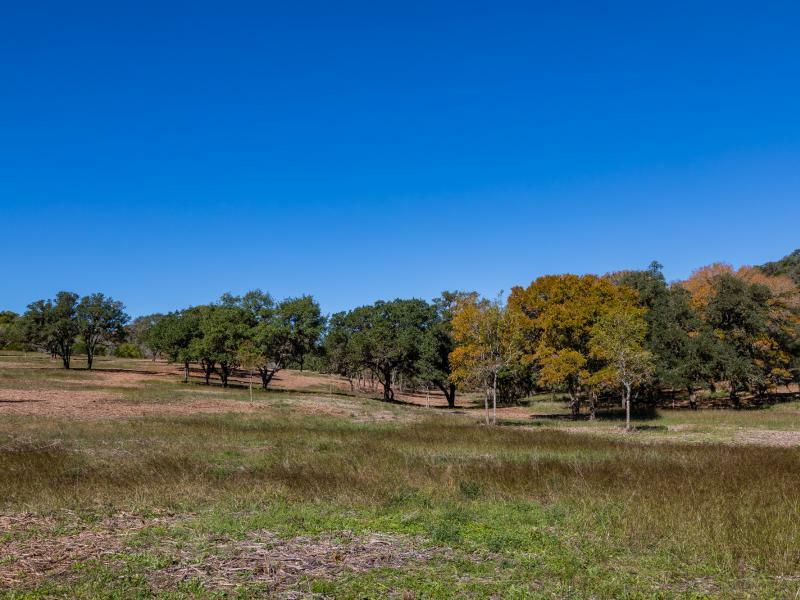 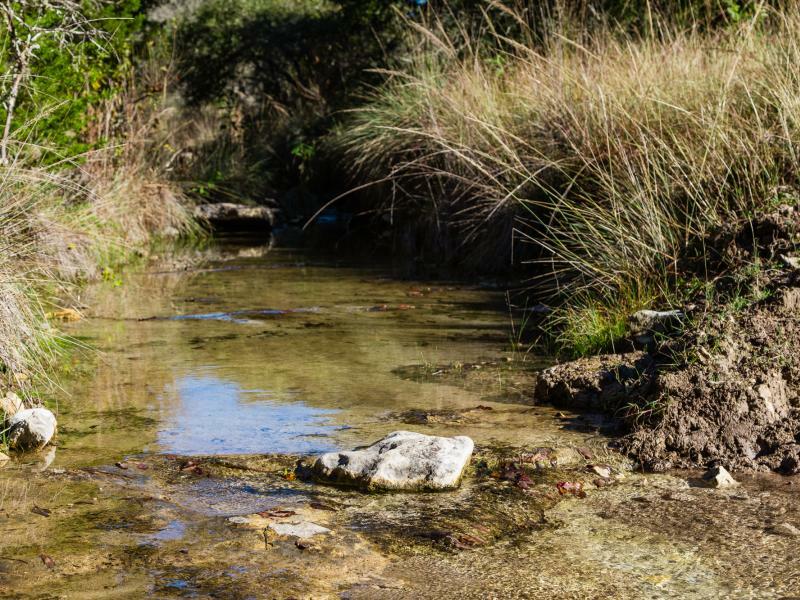 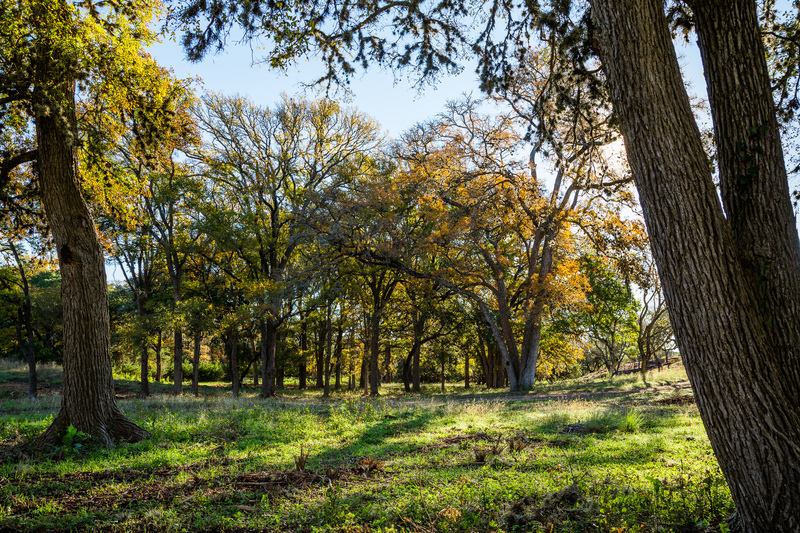 Located within the heart of the Texas Hill Country, This plus-or-minus 800 acre ranch offers tremendous views, incredible topography, giant hardwood trees, and a vibrant spring that provides water to the entire parcel. 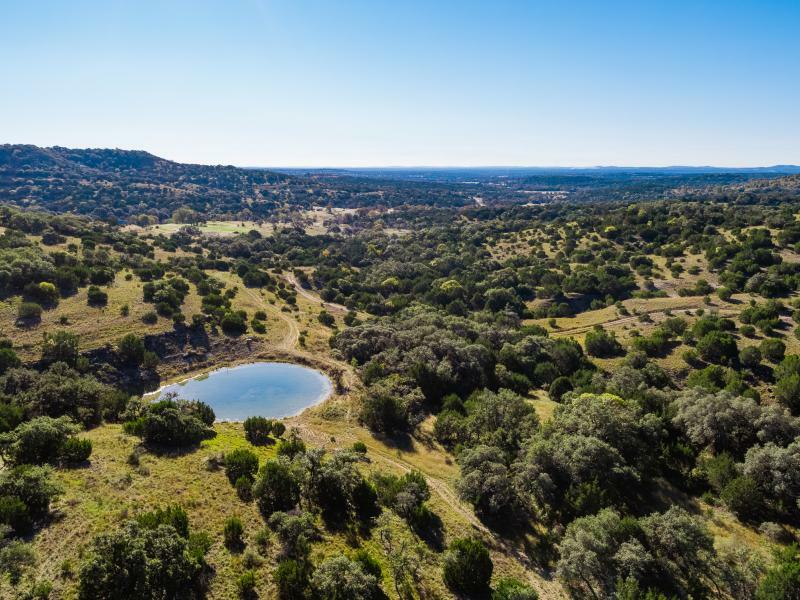 Located just four miles north of Sisterdale, Texas the ranch is near the Hill Country communities of Fredericksburg and Boerne—a location far enough away from big-city sprawl, but still within easy driving distance of city amenities. 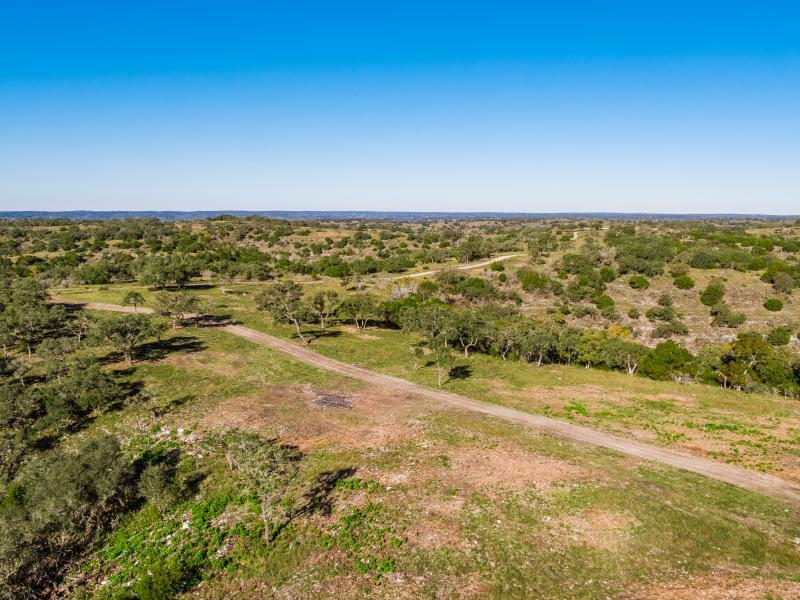 This property is offered as a whole and can also be partitioned and sold as smaller tracts from 424 to 1,224 acres in size. 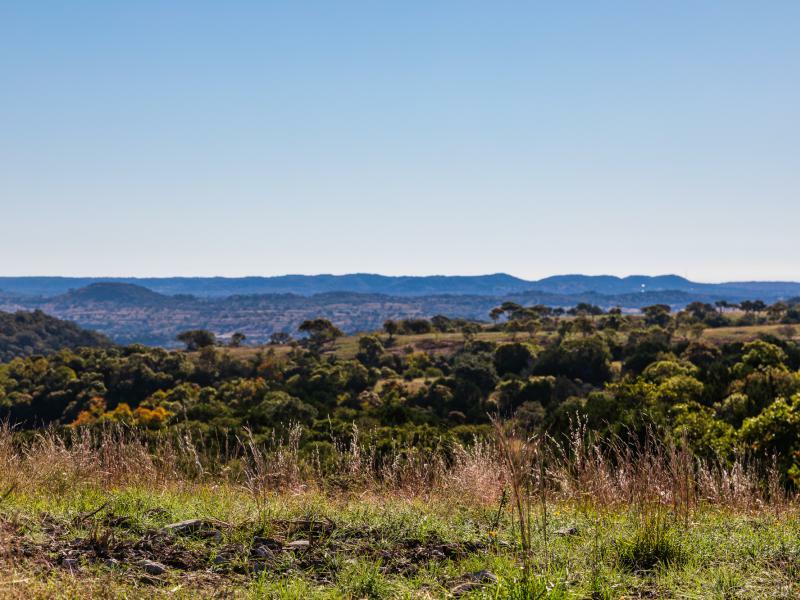 With numerous building sites atop the towering hills, the ranch boasts views in every direction. 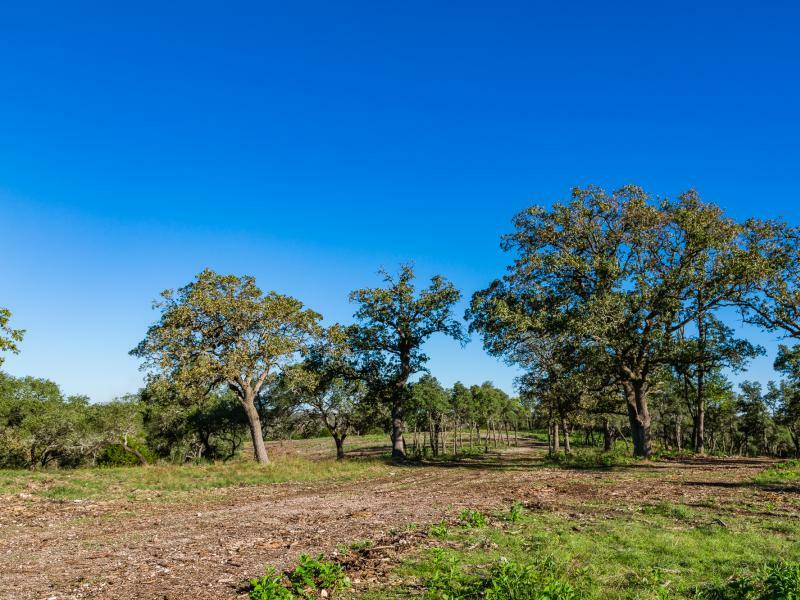 Accessed via a paved road, ingress and egress is fast and easy. 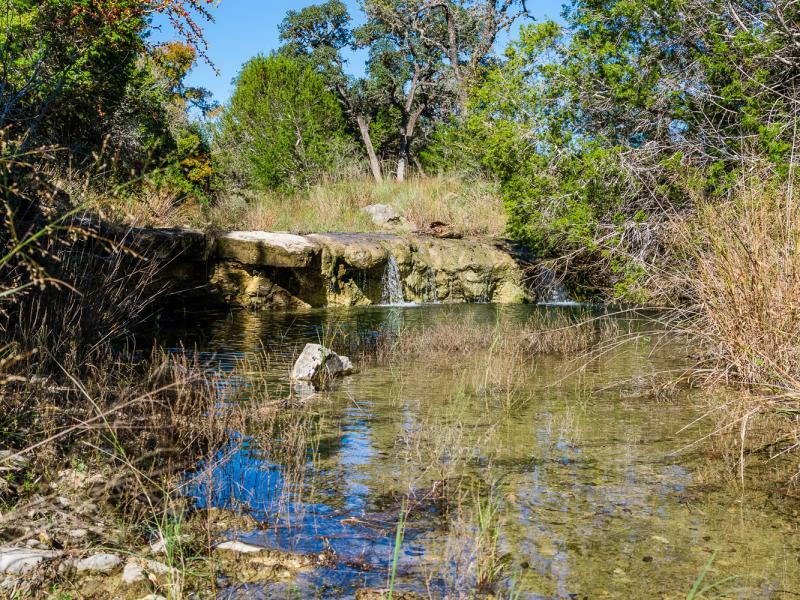 The creek beds are served by the vibrant spring, providing great potential for dams along the seasonal creek beds that wind through the tract.